The BookingBug Public Site is an external website that can house your BookingBug widget. This can be used as a stand-alone website if your company does not have its own. You may add images and color customisation to the Public Site, as well as customise the booking journey. 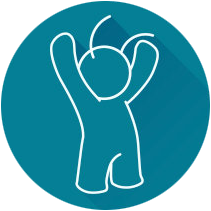 Create appointments first by Staff Member, Resource, or any other combinations using the Public Site. 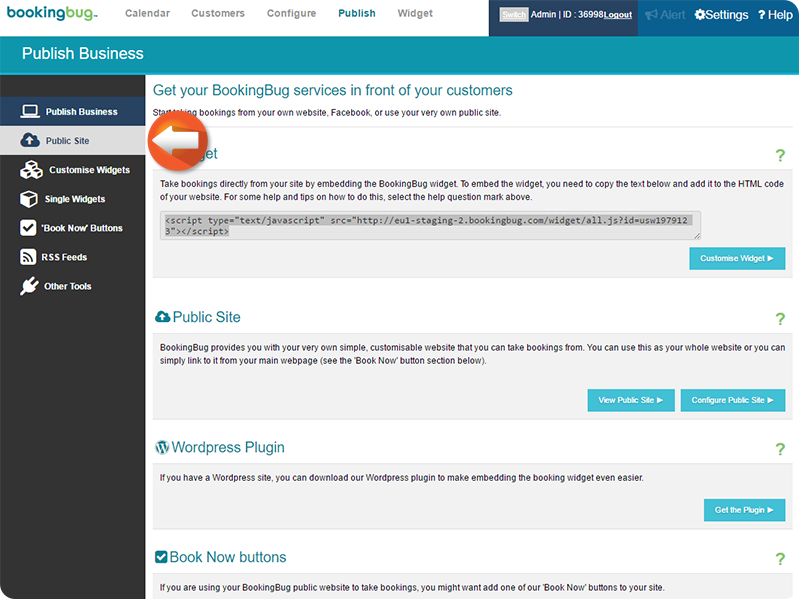 From the Dashboard, click Publish. Click Public Site on the left column. 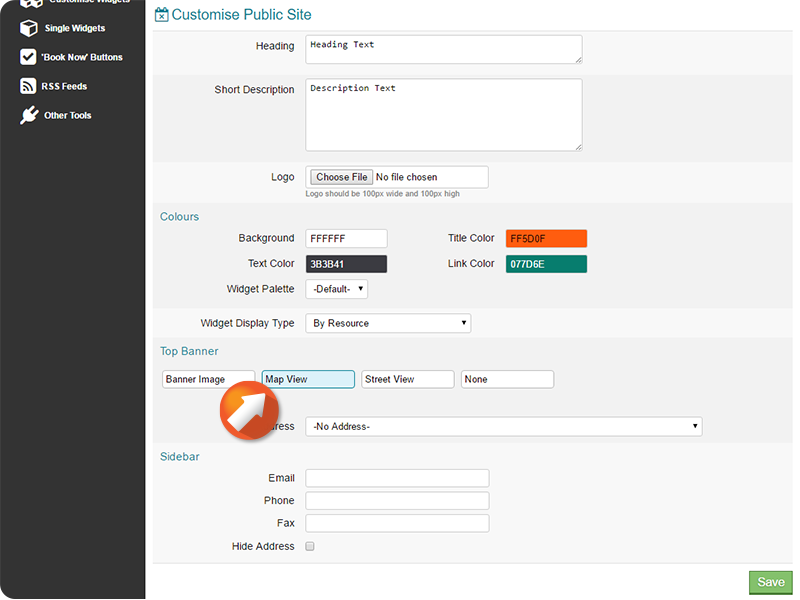 Enter the desired Heading and Short Description to edit text on the first page of your Public Site. Welcome your Customers, provide appointment instructions, or add disclaimers to your Public Site by editing these fields. 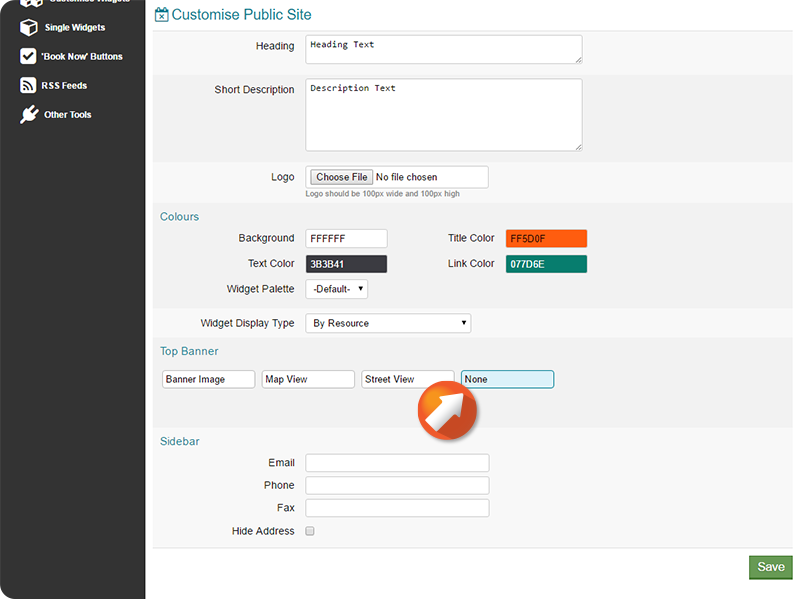 Click Choose File to add a logo to the top of your Public Site. 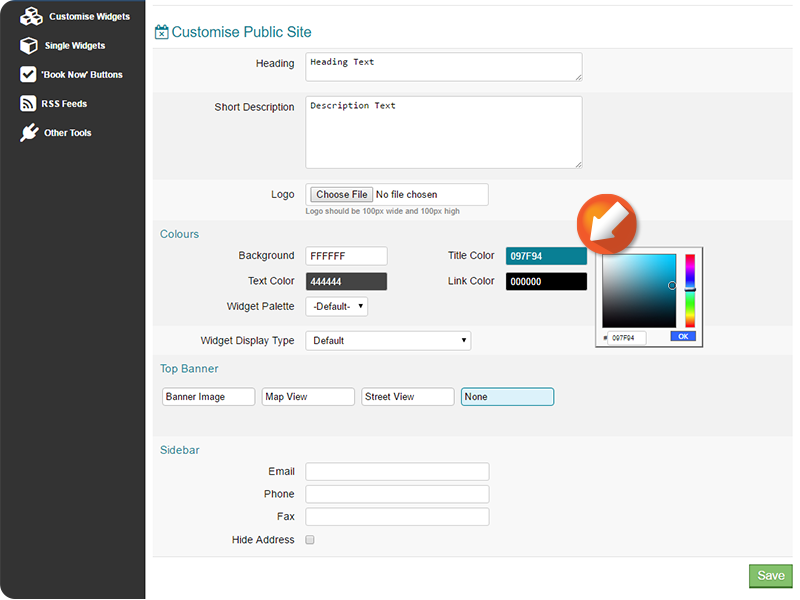 Click the Color fields to adjust the Public Site color scheme. 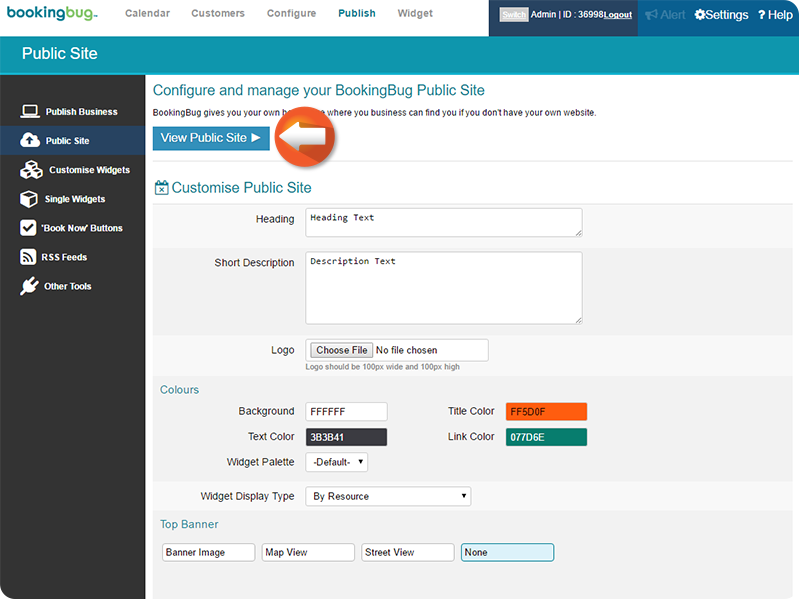 Adjust the Public Site to the desired color scheme, then click OK.
Widget Display Type will allow you to customize the journey that your Customers will take as they create a new Booking. Customers may select Staff, Service, or Resource first. You can also reorganize the Customer journey with any combination of these options. A Top Banner can be added to your widget containing an image, a Google maps display of your location, or a Google Maps Street-View of your location. To add an image; select Banner Image, then click Choose File. 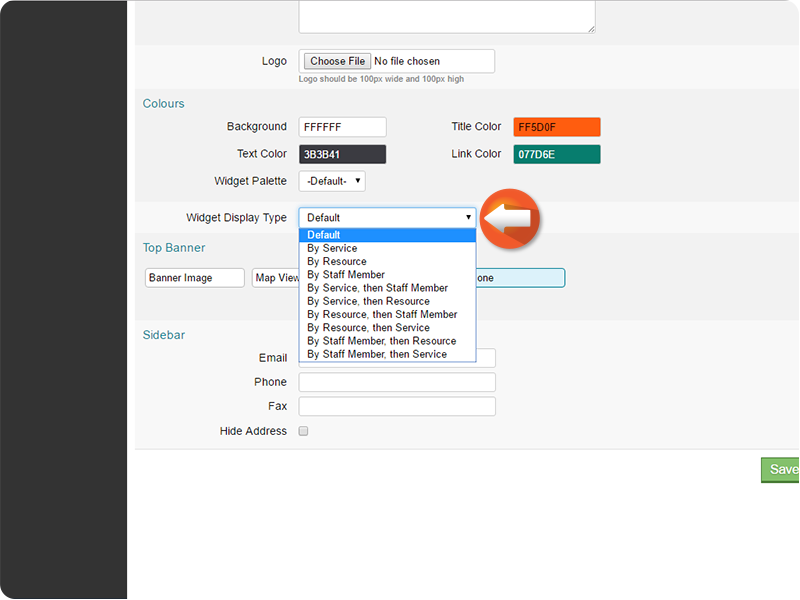 Select the desired image, then click OK.
To use the Maps feature; click the desired Map option, then select the desired Business location from the dropdown. You can also click add an address to add a new Business location. 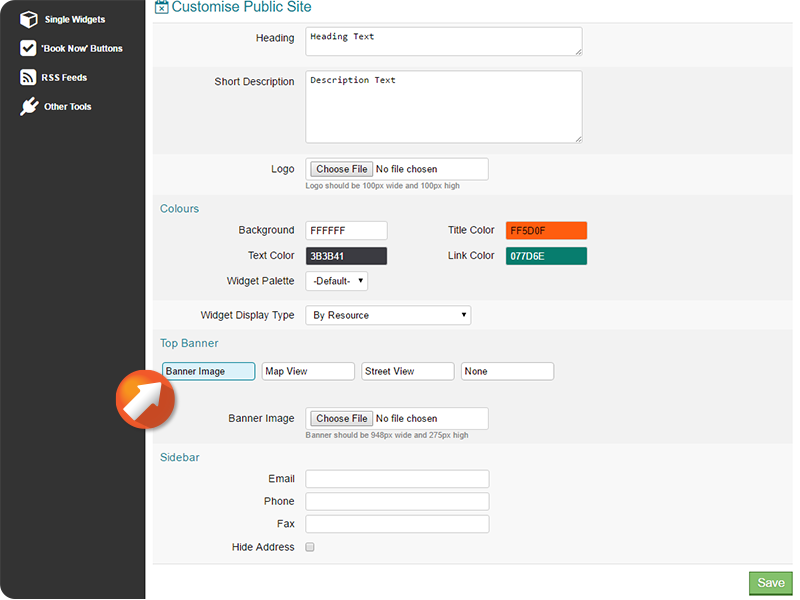 Enter information into the Sidebar fields to provide basic information about how to contact your Business. Click None to have no Top Banner.